Application deadline May 15th 2019. 2019 marks the 39th year of the Skokie Valley Symphony Orchestra’s Bonnie and Lee Malmed Young Artists Competition. The purpose of the competition is to help ensure the future of classical music by providing the opportunity for young musicians to hone their audition skills as well as to perform with a high caliber symphony orchestra. At the Young Artists Concert held in January 2003, a resolution from the State of Illinois's House of Representatives was presented to the Skokie Valley Symphony Orchestra commending the organization for its commitment to quality classical music and its encouragement of young musicians. In 2014, the competition was named the Bonnie and Lee Malmed Young Artists Competition in honor of the Malmeds' longtime support of the competition. 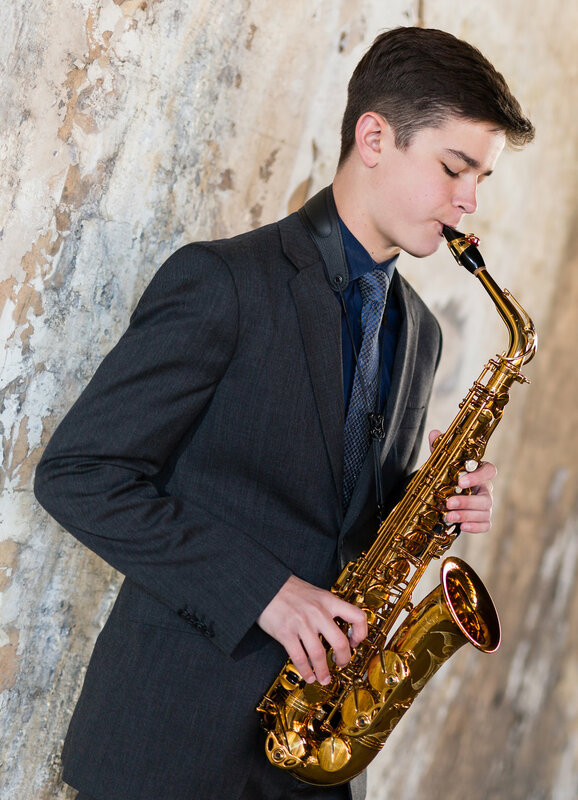 The competition is open to young orchestral musicians (including piano, saxophone, and guitar) from the ages of 16 to 22, and attracts performers from all over the country. The First Prize winner will receive a $1200 cash award and the Second Prize winner $800. SVSO. An honorable mention will also be selected; in the event one of the two winners cannot perform, this person will perform with the orchestra. The public is invited and encouraged to attend the final round of the competition, which begins at approximately 3:00pm. The competition takes place at Northeastern Illinois University in Chicago. Matt will be performing the Tableaux de Provence by Maurice Paule, with the Skokie Symphony on April 28th at 3:00, North Shore Center for the Performing Arts in Skokie. To read about Matt, click HERE. Uploaded by SVSO Communications on 2018-08-27. Winners, please keep in touch with the SVSO. Let us know how your career is going. Email us at info@svso.org or through our contact page. We would love to help you publicize your career by blogging about you and liking you on Facebook. Photos are welcome!